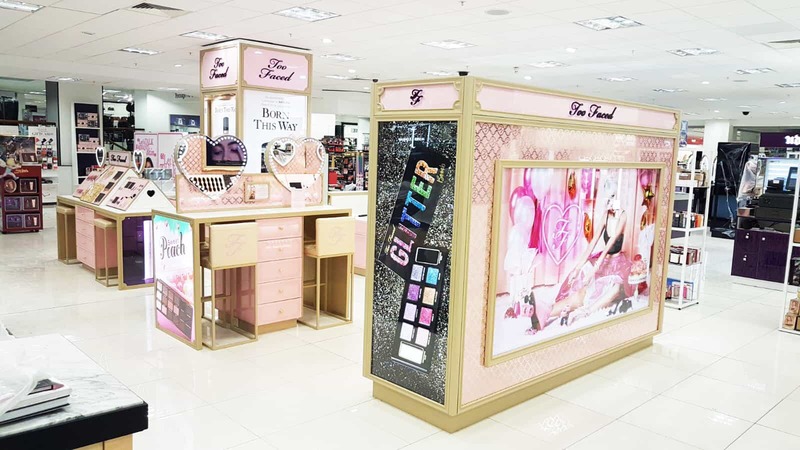 Acclaimed beauty brand Too Faced has taken the UK by storm over the past few months, recently adding Leeds and Glasgow Debenhams to their portfolio of concessions. For us at D4R HQ, we have seen constant flashes of pink and glitter flying in and out of our offices - and we love it. 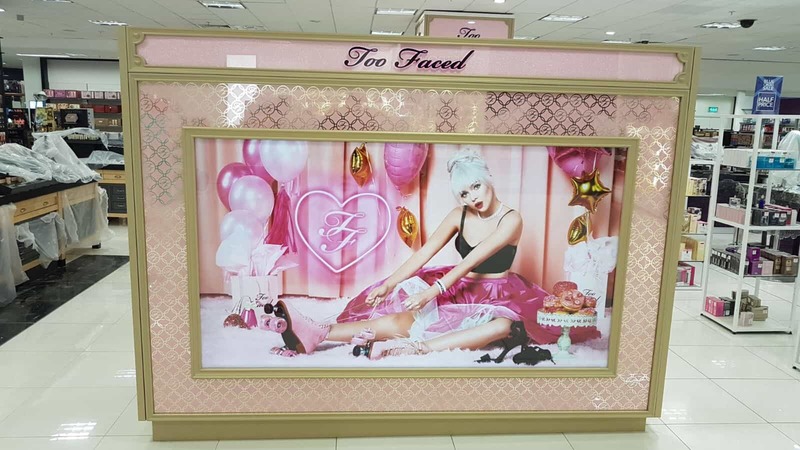 You may have seen our Global Rollout post a little while ago - and the projects for Too Faced retail have been flying in since then. 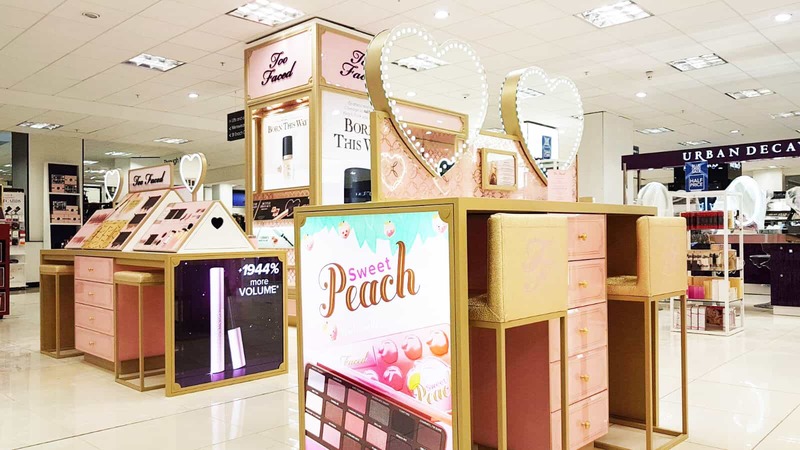 Our latest roll-outs for the cosmetics brand have been focused on Debenhams stores, with Leeds and Glasgow opening their concessions in just the last couple of weeks. 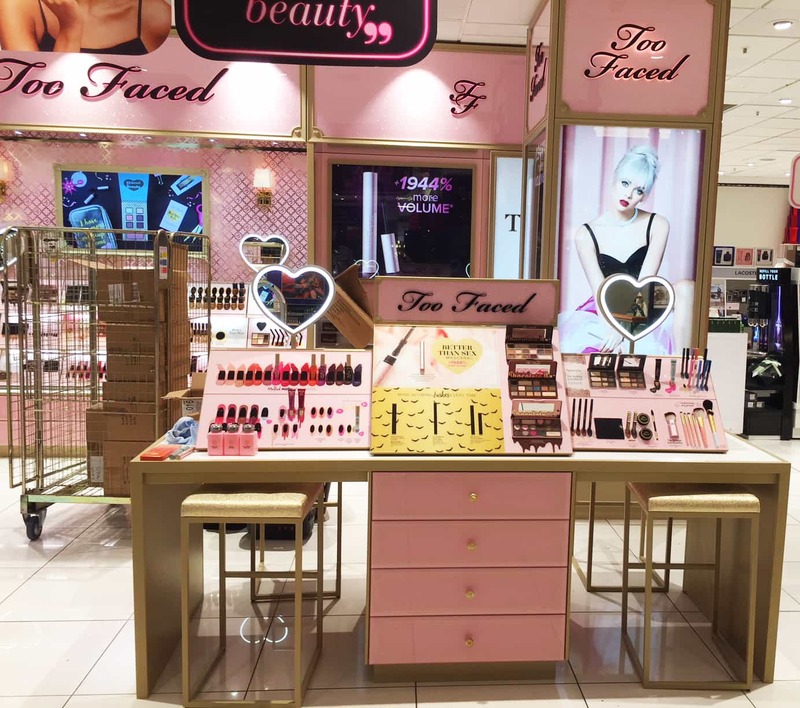 Too Faced has long-since been a staple of a cosmetics bag, but the evolution of their UK retail spaces has seen an influx of already loyal customers rushing to stores to see the brand in a physical format. Each store maintains the retail guidelines for Too Faced, which have been designed and implemented by the D4R team, but must be formatted to suit each store. 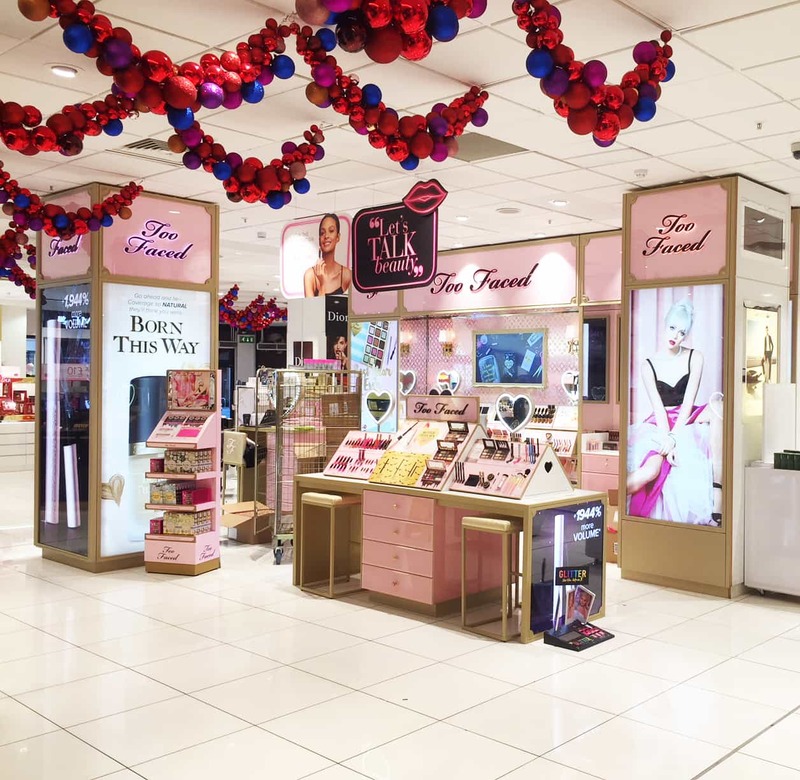 The brand is unmissable in all beauty halls; the burst of pink and the accompanying brushes gold features highlighting the premium nature of Too Faced. The new Leeds and Glasgow spaces are no different, they make their own statement amongst the other brands within the Debenhams beauty hall. 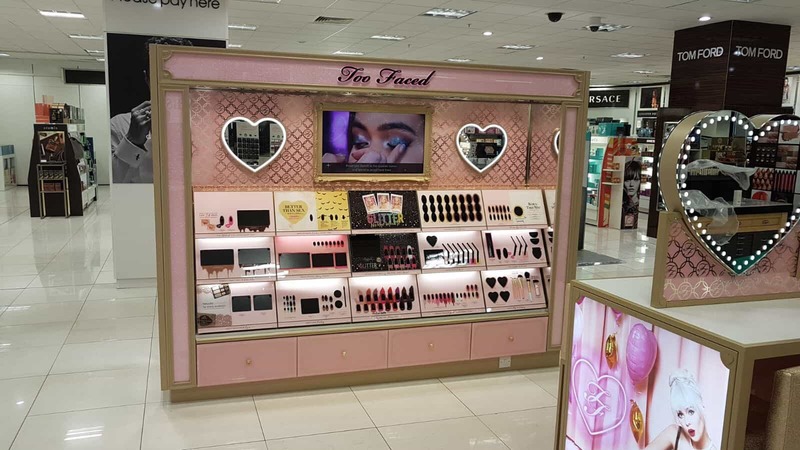 Another step closer to Too Faced taking over key locations across the UK, a task that we are more than happy to assist with. We continue to design, develop and produce for the Too Faced brand at retail and we continue to get excited by it! Plans and designs are coming together for the following cosmetics retailers in Europe; Sephora, Macys and Douglas; including spaces across the Netherlands and Austria. Keep your eyes peeled for the launch in Russia - coming much sooner than you think!